The L310 offers an ultra low-cost per page for both black and colour printing. It comes with four colour Epson ink bottles (cyan, yellow, magenta, black) and two extra black ink bottles included so you have everything you need to get started right out of the box. 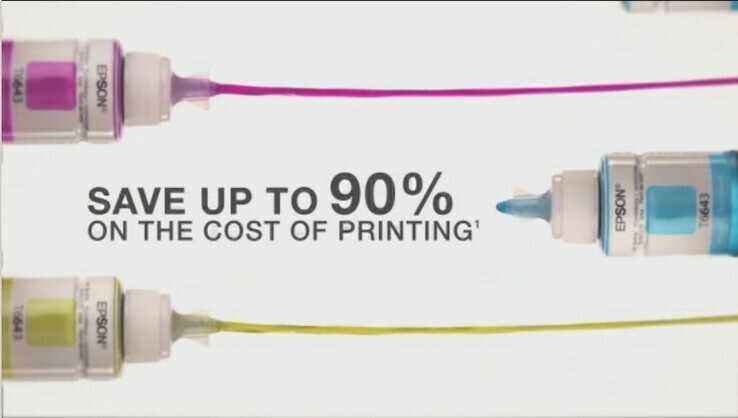 The integrated high-capacity ink tank means users can print up to 12,000 pages in black and 6,500 pages in colour3 from its initial set of inks, meaning a longer time before you need to buy replacements. Setting up the L310 is easy and hassle-free so you can start printing straight away. When it's time to refill the inks, fast top-up technology means the job is made simple and quick to reduce downtime. Epson-genuine ink bottles make it easy to refill the ink tank with their clear labelling and drip-free nozzles.